Gel Polish – How To DIY Remove (Shellac – Gelish – Gelac – Geleration) etc. 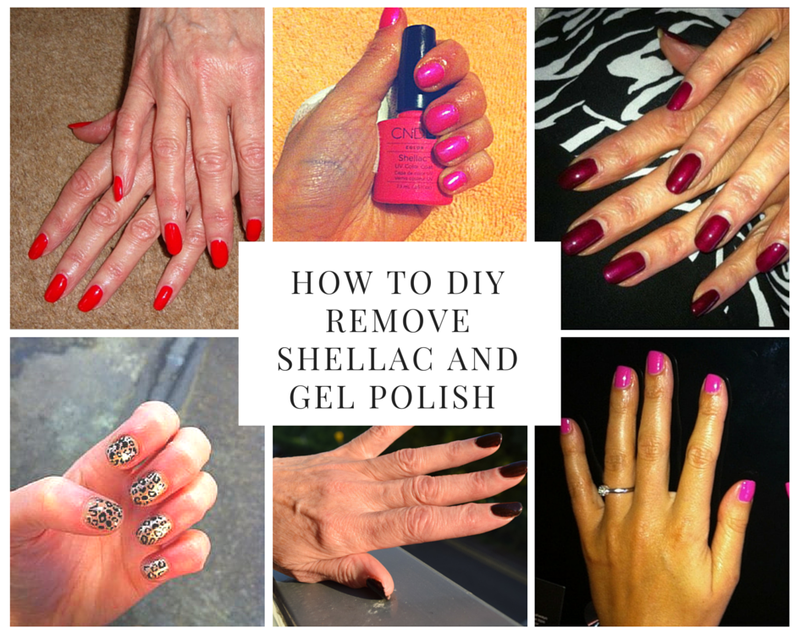 Do you want to know how to DIY Remove Shellac? I have had so many people getting to my blog by google searching it, that a lot of people would rather have shellac or gelish etc. as a one off (to review for their blog or just out of interest) and they don’t want to spend money on removal. That’s just the way it is. You will get a better result if you do it professionally but as I say, a lot of people would rather do it at home. So here is how to DIY remove Shellac and Gel Polish nails. If people aren’t told how to remove it, they won’t be removing it properly. This could cause them to be peeling it off with their fingers and are then moaning that the product has ruined their nails, when in fact their nails would have been perfectly fine had they removed the polish in the correct way. This isn’t exactly the same way as a professional would likely do it, as they have products such as pre-made removal wraps but I am presuming if the whole point is to save money then you won’t be wanting to buy them anyway as they come in large volumes to save money for the nail tech, but you won’t need 100 sets just for yourself. A nail buffer (one of those 4 sided things). Cut your cotton pads so you have ten small sections. 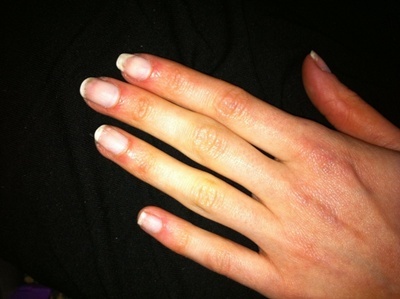 Use enough to cover each nail, or if they are pre-cut just separate 10. 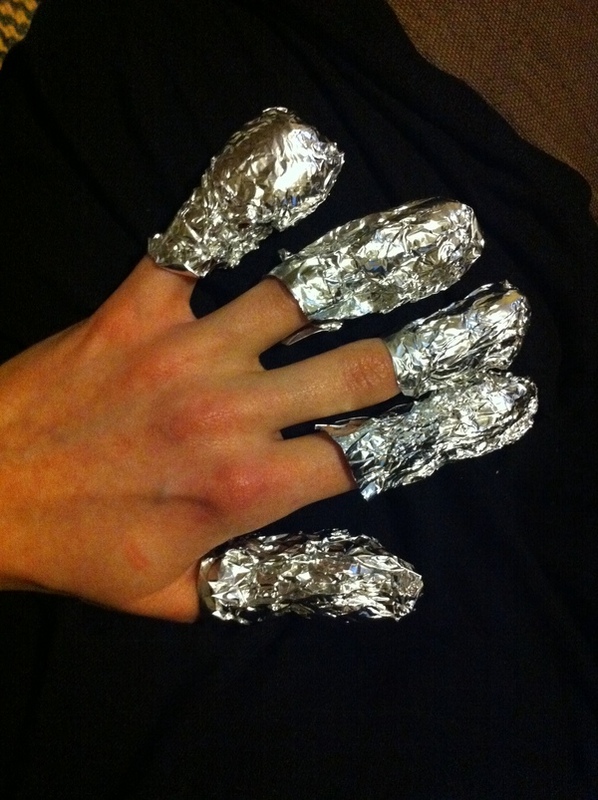 Take your acetone and saturate the cotton, apply it over your nail and wrap that finger in tinfoil, do the same for all ten nails. You now resemble a cut-price Edward Scissorhands. 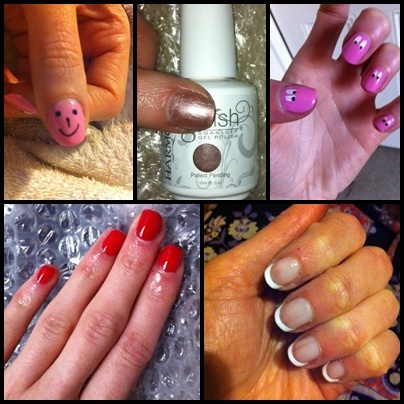 Sit for 10 minutes for Shellac, 10-15 for Gelish and other Gel based products. This also works for glittery nail varnish like OPI’s burlesque collection. Squeeze and pull off each foil wrap. Use the orange stick to push off any remaining product, re-wrap if it hasn’t all been removed. As I say you’re probably going to get a better result if your nail tech does this. If you can afford to get it done professionally please do so. If you can’t afford it or can’t get an appointment I would rather you do it properly. Don’t pick or peel it off your nail, promise? !